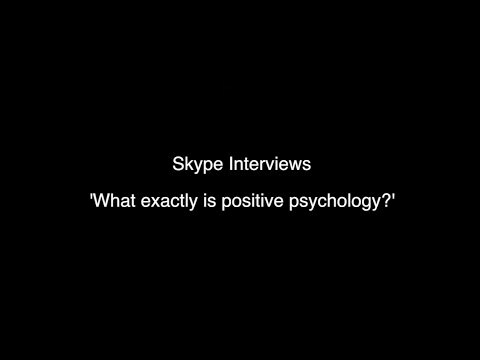 Positive psychology is a science based branch of traditional psychology. In the past psychology has tended to focus on psychological problems such as disease and dysfunction and failed to look at what makes people thrive and enjoy optimum health. In 1998, Martin Seligman, President of the American Psychological Association introduced the concept of ‘Positive Psychology’, a study of the strengths and virtues that give our lives meaning and purpose. Positive psychology is not just about illness and health but uses research to discover ways to help people lead fulfilling lives in all aspects of life such as work, education, personal development, relationships and the community. There are a number of positive psychology theories that explain how some individuals flourish and a variety of positive psychology interventions have been developed based on the principle that we can learn and adopt the habits that are shown to improve our subjective wellbeing. Rather than seek therapy for problems, there is a growing interest from people who wish to take responsibility for their own health and happiness and use the science of positive psychology to achieve this. Positive psychology theory is also adopted and applied in numerous areas such as business management, health professions, coaching and therapy, education, parenting and communities, Many of the common themes are explored on our courses. The term positive psychology is often misunderstood and confused with practices such as ‘positive thinking’. Whilst there is no suggestion that positive thoughts should not be encouraged, the act of simply repeating positive words is not validated by scientific, research-based evidence, whereas everything in positive psychology is. The term ‘the science of happiness’ is often associated with positive psychology and has led some people to believe that this fully represents the discipline. In fact, the term ‘happiness’ is not often used as a positive psychology term as it is almost impossible to quantify what happiness is. Instead descriptions such as ‘optimum flourishing’, ‘subjective wellbeing’ and ‘life satisfaction’ are used instead. Positive psychology also looks at what helps us to be hopeful and resilient in times of adversity and seeks to find ways that we can live our best life in all circumstances. Why not try our quiz and find out how much you know about the subject of positive psychology?